“The first album I ever heard was Alanis Morisette’s Jagged Little Pill,” says Vasuda Sharma, talking about her musical background. “I learnt a few chords [that] I could play on the guitar, but mostly, I was a vocalist. My aunt gave me some classical training when I was a child, and I took a little formal instruction too, but I think it was when I was in college that I really sort of tried music out.” This trying out led her to perform in front of Palash Sen and other judges for the Channel [V] reality show, Popstars, and her versatility impressed Sen enough to convince people that she should be on the show. The show led to Aasma, an assembly line pop group that hit dizzying heights (well, commercially) with the song ‘Chandu Ke Chacha’, and fizzled out soon after. 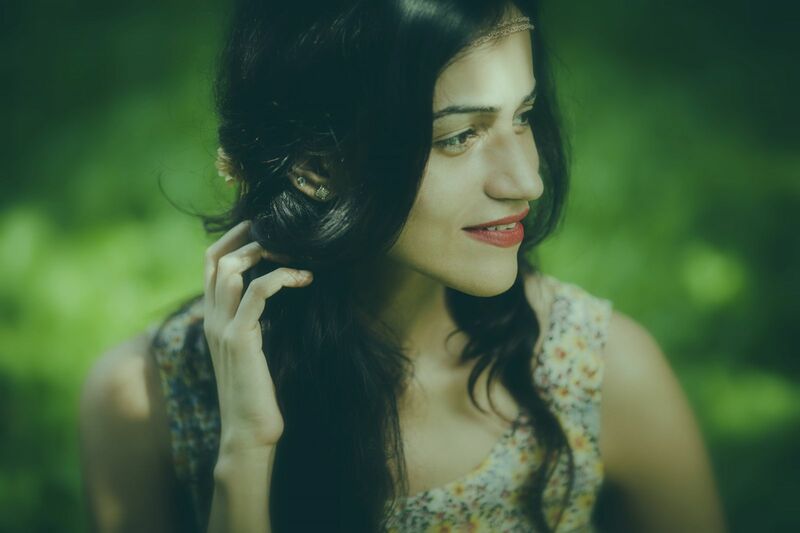 The pop stylings of Aasma, though, were not enough to keep Vasuda content, and she soon started writing her own music. “I just wanted to try a lot of things out. That’s how my live looping set came about. I saw a video online and decided it was something I could do so I tried it and it worked!” A couple of looped tracks were sent over to the Blue Frog, and soon enough, she was invited to play the early set at the venue in Mumbai. It was this experimental, open attitude that propelled Vasuda towards music theory, and she enrolled, for a year, at the Berklee College of Music. The move “opened up the idea of music” for Vasuda. She started collaborating with a whole bunch of musicians at Berklee, writing the music for her debut album, Attuned Spirits. “I think it was just being around so many people who were so passionate about what they were doing. It was a brilliant experience,” she says. What started off as a project she recorded in college turned into a full-fledged record. To fund Attuned Spirits, Sharma decided to crowdsource funds for the release. Crowdfunding is a relatively new concept in Indian indie, with Mumbai metal vets Demonic Resurrection giving it a shot early on in 2012. The trend picked up after that and 2012 saw money being sourced for albums (by Aazin Printer, Spook) and a pretty successful gig (Control Alt Delete) before Sharma started her campaign. The quirky video accompanying her appeal gathered quite a bit of momentum and, with industry heavyweights like Shankar Mahadevan coming out to support the campaign, she successfully raised the amount required and then some. “The support was just enormous, and I guess to some extent, that whole video appeal connected with a lot of people. Of course, there was a lot of support from friends and family and people like Vishal Dadlani who saw some merit to what I was doing and believed in the music I was making.” Sharma’s case was also helped by the wide accessibility that her music possesses. Indian classical compositions with western arrangements, world music influences, and an ability to translate it into a viable form of pop music that is relatable yet not formulaic enough for you to disregard – her debut album is one of the most interesting releases in the folk-fusion-whatever category this year. The music is fusion because it isn’t bound specifically by a linguistic choice or style of music; it flows and swirls through a range of genres. Sharma says she was aiming for subtlety with the arrangements. “I didn’t want things to be in your face and I guess that has come through. I collaborated with a lot of people from Berklee, but apart from that, there were opportunities to record with some of my own favourite musicians as well.” These include Vishwesh Krishnamoorthy, Dhruv Ghanekar, and former Aasma bandmate Sangeet Haldipur, among others. Vasuda has also assembled a touring band comprising Bhayanak Maut drummer Rahul Hariharan, Chirayu Vedekar on bass, violinist Jose Neil Gomes, Andrew Ferrao on keys, and Zohran Miranda on guitars. “The arrangements of the songs will differ slightly when they are played live; we’ll be trying to give the notes a sort of punch – I want it to sound more powerful live. Wherever possible, I would really love to have saxophones and violins on stage because both instruments played a large part in the composition of the album. Unfortunately, since we can’t always have that, the keys will be taking over most of that stuff but we’re going to keep the arrangements the same,” she says, explaining the live setup of the band, with a stripped down acoustic version of the set also prepared. At the end of the day (or the beginning), Sharma’s journey has been sort of in reverse. Starting off as a manufactured pop sensation who gained immense popularity with music and lyrics written by others, she has slowly come into her own. In between, she’s stopped to learn, innovate and find her own voice to release music that she passionately believes in, and is now finding that there are others who believe in it enough to want to invest in it. “What I was doing with Aasma was just delivering a product. I enjoyed myself but it wasn’t something I wanted for myself. Everything I do now, it’s only to push my own music further. When I started out, I was not a part of the independent circuit at all and now I’ve been embraced by it. That’s something I really value.” With a debut that has more than a few people listening, for Vasuda Sharma, the journey is only starting again.